Israel is an incredibly popular destination for award travelers from all over the world. It’s the number one destination request of my award booking service. Focusing on travel from the U.S., there are a limited number of direct flights from the U.S. to Israel. This post will be broken up into two parts. The first will focus on Star Alliance and Sky Team award availability to Israel. The second will focus on OneWorld and El-Al. Unfortunately, a few weeks ago, American airlines discontinued their Philadelphia to Tel-Aviv service. Singapore/Star Alliance 37,500 57,500 All flights via Europe will have significant fuel surcharges except direct flights on United. For a full Israel pricing chart check out DansDeals ultimate chart to Israel—bookmark this resource! I mentioned ‘cons’ in the above chart because when examining availability trends we’ll see why some mileage programs are better uses than others. You can have all the miles in the world, but with so few seats, award availability on these direct flights is tight. And if you want to go business, there are even less seats. Be flexible. With Israel award flights this cannot be stressed enough. Book early, early; or right before the flight. You can get decent availability booking really far out, or really close-in; like two-days before, close-in. Search tips. Start-off looking one-way, one passenger at a time. Be willing to split up if going as a large group. 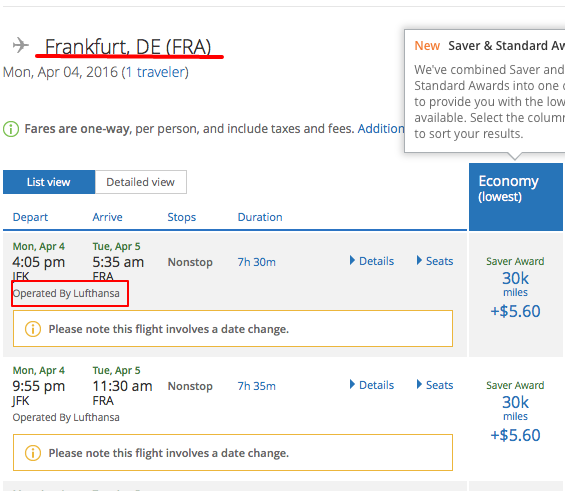 Best: Using United miles on direct or Star Alliance partner flights via Europe. The non-saver space is not recommended for award booking! For one passenger from Newark-Tel Aviv, over the next 14 days, I found 5 saver seats. 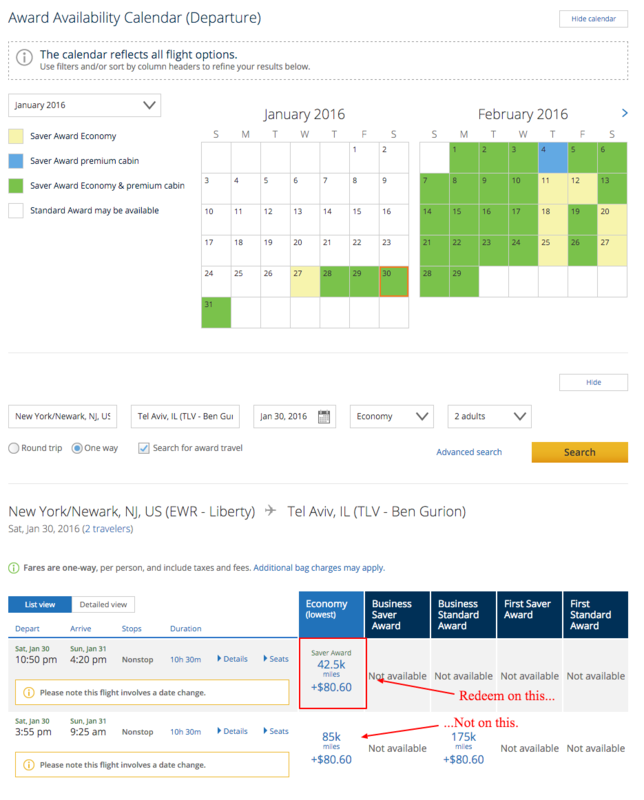 Anything not 42,500 miles is not saver and you will pay a premium in miles to book it. This is not recommended, unless you have no other choice but to be at your destination. Star Alliance close-in award space. Coach and business, two weeks from today! Nearly every day over the next two weeks had space for at least two passengers in either coach, business AND first class. So you see that coach via Star Alliance partners is the same price as United direct, but connecting flights via Europe in business are 10K more points. Still, a solid deal each way. The whole month of December (until December 28, 2016) has coach space via Europe. Why are there no direct flights so far out? Well that’ll be Christmas (of particular importance for the European alliance members) and winter break for a lot of travelers. United knows this. They also tend to release last minute space in coach and business on their direct flights, as we’ve seen. 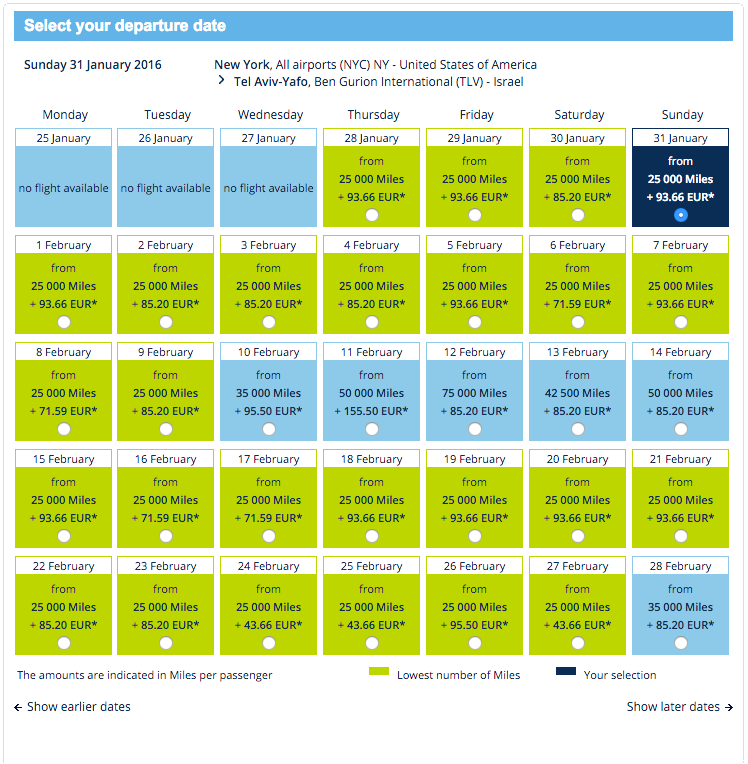 Decent: Using Air France miles on Sky Team partners via Europe or Russia. 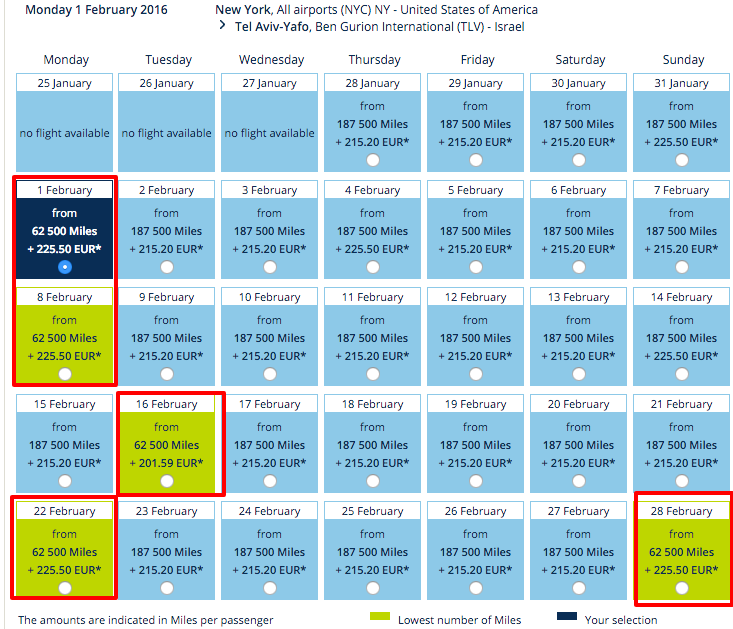 You noticed on the chart that redeeming Air France miles (a transfer partner of SPG, Citi ThankYou, and AMEX Membership Rewards) offers the cheapest coach award flights, at 25,000 one way and 50,000 roundtrip! (Air France considers Israel to be part of Europe!) So why didn’t this rank higher? Well, scoring direct flights from JFK to Tel Aviv on Delta is nearly impossible at saver levels. So those will very rarely show up on Air France search engine. Availability on Air France via Paris, Alitalia via Rome and Aeroflot via Moscow is solid. Air France also passes on fuel surcharges, so be aware. There’s a lot less availability in business, close-in, but there’s decent availability in coach for two. Notice the fuel surcharges. Also, the reason why many award travelers do not like to book business via Paris is that not all JFK-Paris routes have upgraded lie-flat business class space. Wow! There’s coach for two everyday. And fuel surcharges are decently low. Why’s that? The first leg of these flights is on Delta, but that doesn’t mean they’re direct. You’ll connect in Amsterdam, Paris or Rome. The same principle applies to the low fuel surcharges on above (long-portion of the flight on Delta, short on a partner). Still not bad. Perhaps even better than United/Star Alliance. So which miles should you use? It always starts with what balances you currently have. If you’re flush with AMEX Membership Rewards and Citi Thank You Points, you may be better of transferring to Air France for Sky Team availability (their fuel surcharges are less than Singapore/Star Alliance). If you have a lot of Chase Ultimate Rewards, United and the Star Alliance availability will be your friend. Plus, the biggest factor is that United does not pass on fuel surcharges. This keeps costs down significantly. And if you want to book for a random time of the year, being flexible with dates, routing and class of service helps a lot when going to Israel. That may not sound aspirational and points blogger-y of me, but it’s realistic. Using your Miles to Get to Israel: Part II will focus on OneWorld award availability, using (or not) your miles on El-Al and the Wild Card Option. This past weekend’s first serious winter storm, Jonas, saw over 5,000 cancelled or delayed flights across the mid-Atlantic and Northeast. Passengers and airlines have been pretty lucky this winter with the mild weather that we had. Even Thanksgiving and Christmas, which are notorious for colliding with severe weather, were spared. Yell at every airline customer service agent you cross paths with. Frustrated because of delay or cancellation? Don’t take it out on a representative! 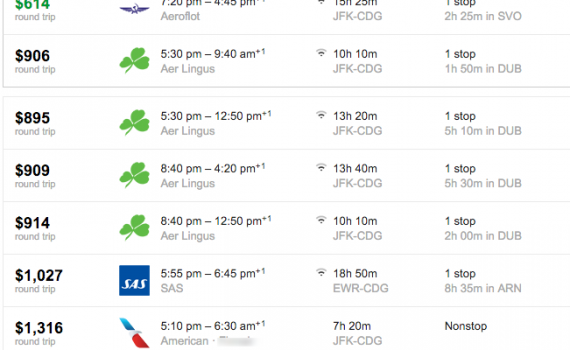 Airline Status—do you have airline status? Now’s the time to leverage it. Top-tier elites from airlines have special agents that can try and help them. Take full advantage of your frequent flier status. This random example is actually delayed! Check out the first Flightaware link: You’ll see some interesting data that can help you determine and get a jump on the situation. Be nice—not much more to be said here. Call the airline on multiple phones—your phone, your child’s, your significant others, etc. Try calling call centers outside the U.S.—You may have to pay for long distance, jump on Skype voice or use Google Voice calling, but it can save you lots of time. (Google search “airline carrier + country + contact”). This last method is a principle applied to award bookings, but can potentially be useful on cancelled revenue (cash) tickets. Be proactive and provide the agents with other options. So, if you were on an American flight from Miami—Charlotte—Chicago this past weekend, chances are high that your flight to Charlotte was cancelled. Alternatives can be the obvious direct flight—so search and see if there’s availability. Be flexible with your routing—perhaps even going out of your way to get home. 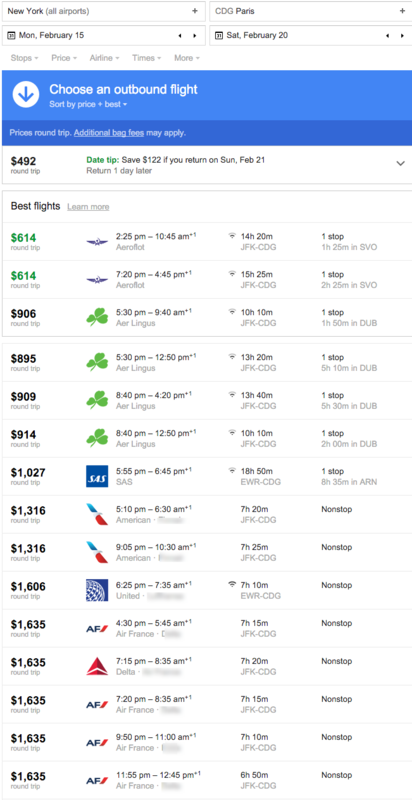 The reason why this has less impact on paid flights: if you search Miami to Chicago after a storm, you’ll only get what paid options are available, which will automatically include any published fare that has a seemingly odd routing. Avoid flying during the winter. Of course this is an option and I toyed with this idea for a while, but with family in Chicago, it’s not really realistic. Chicago is notorious for bad weather in the winter that has a negative impact on flights. 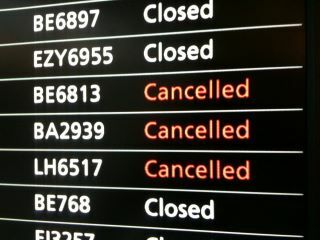 What can you potentially to do mitigate the effects of severe weather on your travel plans? Here is one method that has helped me only get delayed, and not cancelled. Morning flights. 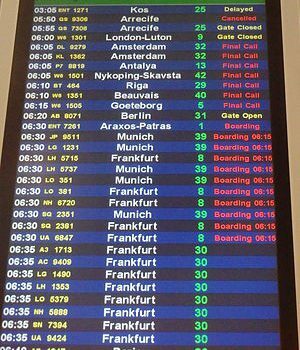 We all hate getting up before 5:00 AM to catch a flight, but the earlier flights are least likely to be cancelled. As the day goes on, runways get more and more backed up. Severe weather only makes it worse. [Disclosure: I may earn compensation from some of these links]. UPDATE: Both Southwest personal cards and business cards are offering 50,000 points. Click here for the Southwest Rapid Rewards Premier Visa – 50,000 points with $2,000 spent in three months. Southwest Airlines—either you love it or hate it. Messy group boarding, no assigned seats, two free checked bags, no lounges, no priority boarding. Status? Sort of. The Companion Pass is the best tool in an award travelers digital wallet. The Southwest Companion pass is the holy grail of domestic award travel. After earning 110,000 miles, eligible passengers receive the companion pass allowing them to purchase a ticket with cash or miles and add a travel companion for no additional cost of miles or base price of ticket (you still pay the taxes). My wife and I have used this many, many times on short and medium flights within the U.S., primarily to visit family in the Midwest. We’ve flown 10 one-way flights, valued at $3,000 on my companion pass so far. The best part is that you and your companion (spouse, domestic partner, friend—it doesn’t matter!) can each earn it. The companion pass, like many airline statuses is good for the year in which it was earned and the following year. So, if you earned it January 2016 the companion pass would be valid throughout the remainder of this year and the entire 2017. That’s nearly two years of companion-able tickets. I earned my Companion Pass in February 2015–good through December 2016! Credit card sign-ups, how else? There are three Southwest cards (two personal, one business). Their standard sign-ups are 25,000 bonus points (each carry an annual fee), but three or four times a year the sign-up goes to 50,000. That is when you should apply to earn the companion pass. For the other 6,000 miles, just spend on $6,000 on any of those cards and you’ll hit 110,000 miles earned. You can also open up both cards in the same day, if you qualify. Don’t listen to the customer service agent. These are considered separate products. The personal premier and premier business cards are both up to 50,000 points; currently the plus is down to 25,000. Trust me. It’s worth the wait if you don’t qualify for the business version. Adding a companion to your booked miles or cash flight is easy! After clicking that and paying the $5.60 per direction of travel for your companion, you’ll receive a separate email confirmation. Important: Because these are two separate tickets, you each must check-in 24 hours prior to your flight departure. Is my companion really free? Basically, with the exception of 9/11 security taxes, which are $5.60 per direction, per person, on domestic award travel. Anyone who has a travel buddy! 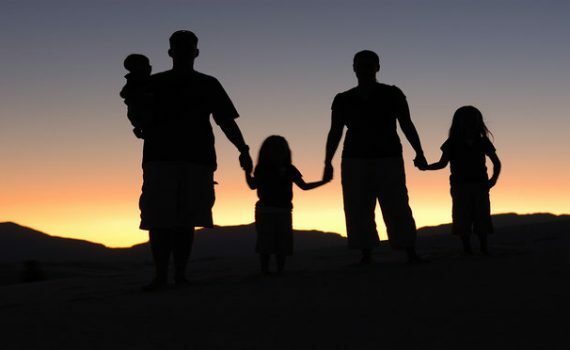 If you have children, both you and your significant other can earn the companion pass and each add a child (over 2) and receive the same benefit. You’ll get amazing benefit out of Southwest miles and the pass if you do a lot of domestic travel. Southwest also flies to some international destinations in the Caribbean, Mexico and Central America. You can get great return on your points on these routes, but if you don’t like connecting, try flying out of Dallas-Love, Chicago Midway and Baltimore airports. If you need to cancel a miles flight, southwest credits the miles back immediately and will refund you for the taxes, or let you use it at a later date for a different flight. Paying the annual fee does not count towards the sign-up bonus. Transferring points from Chase into your Southwest account will not count towards the companion pass. There’s always a catch. This isn’t supposed to work. But it does and has for a while. I’m mentioning this because it’s important to realize that at any point this exploited flaw can stop working. General rule of thumb in the miles and points world is to jump on the offer or scheme while you can. Have you had the Companion Pass? Do you plan on earning it for 2016 and 2017? Let me know in the comments! 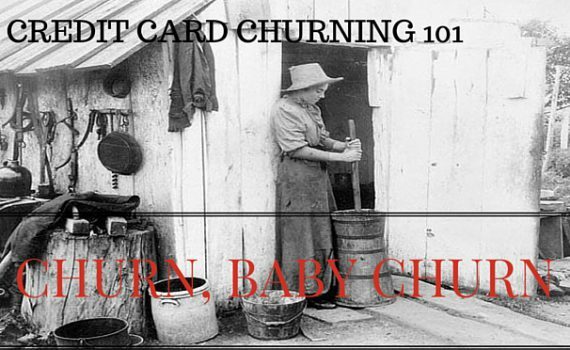 Churning is the process by which one opens and closes cards (sometimes the same ones, or different) to earn a sign-up bonus multiple times, on multiple cards. To fully reap the benefits, review the rules for each bank and card issuer below. Please note that these rules can change without notice. As soon as I am aware of any changes, I will make them here. Personal cards are once in a lifetime; this means you can only get this card ONCE. Be sure to sign-up for the personal card offer. Business cards are now once in a lifetime. This means you can only get this card ONCE. Be sure to sign up for the highest business card offer. It is possible to open and receive the bonus on the same card product on the same day. Personal and business inquires will be separate, but multiples of personal or business will be merged. There is no specified amount of time to wait between opening new cards with Bank of America, but after your first two cards they may want to see activity on the card before approving you for a new one. Sometimes you will be approved for less than $5,000 in credit on one of their cards; if that’s the case, you will earn an inferior bonus. Be sure to call and see if they can increase your limit to $5,000 to earn the full bonus. It is possible to receive the same product (and bonus) multiple times within a few days, or months from each other. There is no rhyme or reason why some people are able to have multiples of the same product, but others cannot. The general rule of thumb is that if you’re not auto approved, it is very hard to call Barclays and receive an approval. (Always call either way, but just putting that out there!). Having excessive credit with Barclays will decrease your chances of being automatically approved for new products. Chase used to be the most “churner-friendly” bank, but as king’s of the rewards cards arena, they’ve tightened up. It used to be possible to open up three cards in one day from Chase and now it’s significantly more difficult. Because Chase will merge personal card applications if done on the same day, it is still possible to open up two cards in the same day; business cards are a separate pull, but it is also possible to open up two business cards in the same day. Chase has instituted a rule known as 5/24, whereby those who have opened up 5 of ANY card (other banks, not just Chase) within 24 months are typically unable to be approved for the Slate, Freedom, or Sapphire Preferred cards. These cards are Chases’ own product; whereas the United and Southwest cards are co-branded cards. Co-branded cards fall outside of the 5/24 rule. The 5/24 Rule has been expanded to all co-branded credit cards except: British Airways, IHG, Hyatt, Fairmont, Ritz-Carlton, Marriott Business, AARP, Disney and Amazon. Chase will sometimes let you shift card from Card A to open your new card, Card B. Chase typically likes to see anywhere between 30-90 days between multiple applications. Citi has some complicated timing rules for applying. You can only apply for one card of any kind, per day, and they have rules for how many cards you can apply for over a period of time. Remember, denials count as applications. If you have opened or closed a Citi credit card in one family, you are not eligible to receive the bonus on another Citi card in the same family for another 24 months. Practically, this means you cannot earn the bonus for multiple American Airlines products from Citi within two years of each other. You can only get 1 American Airlines, 1 ThankYou point earning card and 1 Hilton card every 24 months. The Citi AAdvantage Business card is exempt from this – for now. You can downgrade to no-fee cards at Citi after having the card for 12 months (into the 13th). During the application process, Citi will sometimes automatically approve you and move credit over from another card of yours. Many Citi cards have a restriction that if you can only receive the bonus on their cards every 18 months, from opening or closing. So be mindful of the dates of closing and opening for your cards. Moving credit over to close a card may result in a hard pull. It is possible to have multiple card products open at the same time. 2015 Ended strong, with over a million miles and points earned via credit card sign-ups. To match that, or overcome that, I need to start off 2016 strong. I managed to get my hands on a coveted American Express Business Platinum 100,000 sign-up bonus. Because AMEX merges credit pulls, I was also able to apply for two more cards: the Hilton Surpass (80,000 points), and Everyday Preferred (15,000). Finally, because Bank of America allows you to earn the bonus on their products multiple times a year, I applied for another Alaska Airlines card, 25,000 points. Unfortunately, all of these cards carry an annual fee. The Alaska cards annual fee is $75, but there is a backdoor method to receive 25,000 bonus points and $100 statement credit after spending $1,000 in three months, giving you a net gain of $25. Everyday Preferred 15,000 $1,000 $95 30 purchases a month = 50% bonus up to $6,000 a calendar year After one year can downgrade to no-fee version and still have the ability to earn and transfer Membership Rewards to travel partners. Platinum Business 100,000 10,000 $450, but $200 airline credit Nothing particularly useful for me except the $200 airline fee credit After earning the bonus, may cancel card for pro-rated annual fee. Hilton Surpass 80,000 3,000 $75 Access to more AMEX offers Hilton Diamond this year; Hilton points are easy to come by & this card will jumpstart my Hilton balance. American Express Everyday Preferred – 15,000 points; open this in Private Browsing or Chrome Incognito for possibility of 25,000 point offer. American Express Hilton Surpass – 80,000 points; open this in Private Browsing or Chrome Incognito. A Chase Sapphire Preferred review. Again. The only difference is that I don’t have links plastered all over my site (only one!) or a quota to fill for sign-ups through my page. 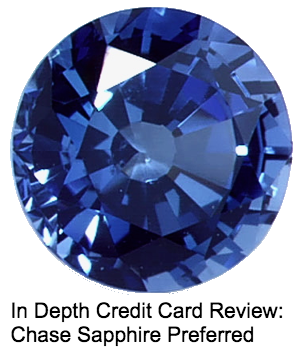 Now that we’ve covered some basics, it could be beneficial for some to read this review of the ubiquitous Chase Sapphire Preferred. Though this isn’t a starter card by any means, it’s a great first transferable points currency card (read here for more info on transferable points). The sign-up bonus has been increased (and will probably stay this way for a while) to 50,000 bonus points after spending $4,000 in three months. You also receive an additional 5,000 points after adding an authorized user who makes any purchase ($0.01 or $100.00, you’ll still get the additional points). 7,500 points: Six, short-haul one-ways transferring to British Airways for flights like New York-Chicago, New York-Miami, etc. 45,000 Points: 3-nights at the Andaz in Costa Rica, unusually $500/night. When this card came out, it was all the rage to earn 2X on travel and dining. Sure, that can be helpful for earning lots of Ultimate Rewards, but there are other cards that earn 3X on those categories. (As an aside, I can see Chase working to revamp the earning on this card for the better—or so I hope). The annual fee is $0 for the first year and then $95 after that—is it worth to keep? Retention offers on this card are few and far between, but deciding if it’s worth to keep is up to you. 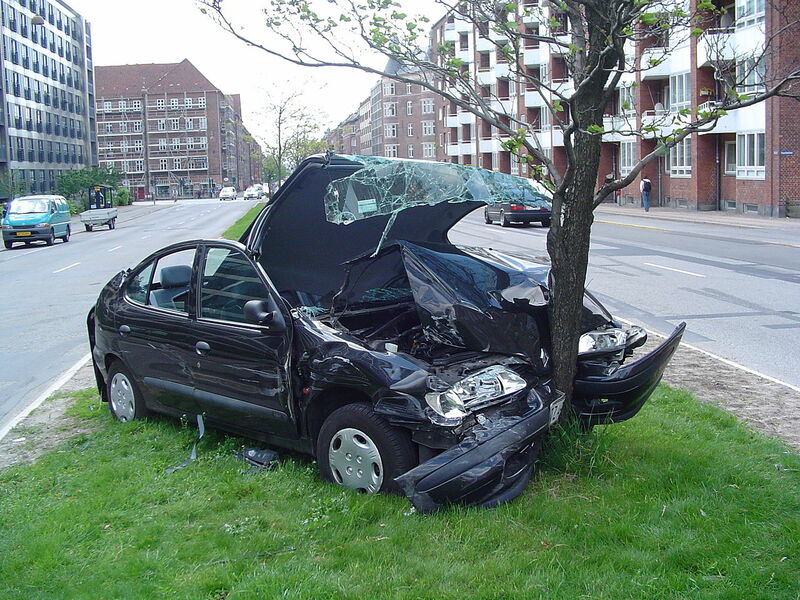 Primary Auto Rental Collision Damage Waiver—If you rent a card, you need to usually pay for their primary auto insurance; if you pay your full car rental with this card, you can waive the collision insurance from the rental company. 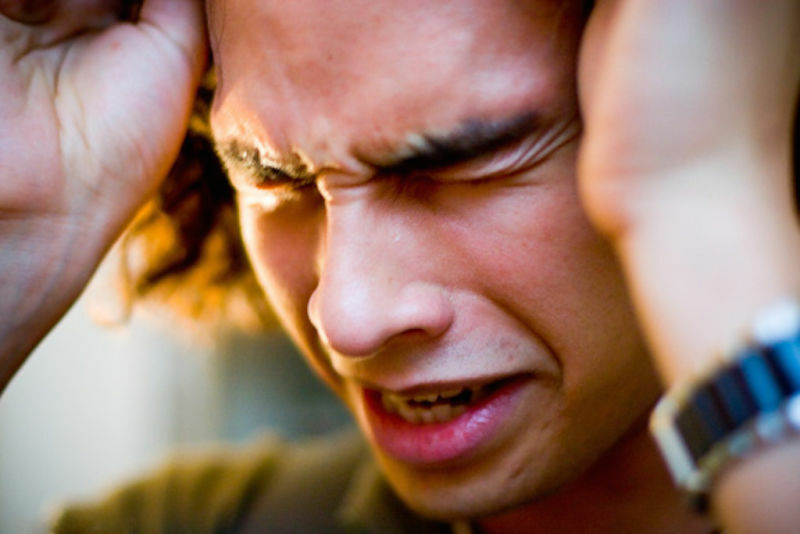 Don’t be caught in a situation like this; use your Chase Sapphire Preferred for your entire rental purchase. Though this card isn’t the bee’s knees for earning, it has solid categories and a really great sign-up bonus. Also, Chase has been tightening its rules for members who have opened more than 5 cards in 24 months. 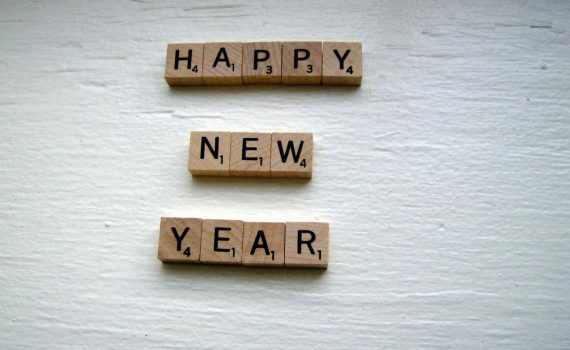 This may not apply to you right now, but if you keep reading this blog you’ll have way more than 5 cards in 24 months! With a really solid sign-up bonus, and decent spending categories the Chase Sapphire Preferred offers access to some of the best airline transfer partners in the industry. You can transfer the points you earn from the Chase Freedom for free. So if you already have that card, this is a logical follow up. If you liked this post, and want to support the site, here’s my referral link. The offer is the same as any you’d find on any page—but I’ll earn 5,000 points if you’re approved. Though I intended to delve into fuel surcharges today, I think the next logical step is to understand airline alliances and how you can take full advantage of them. This will help to give you a complete picture of the best way to book award tickets. 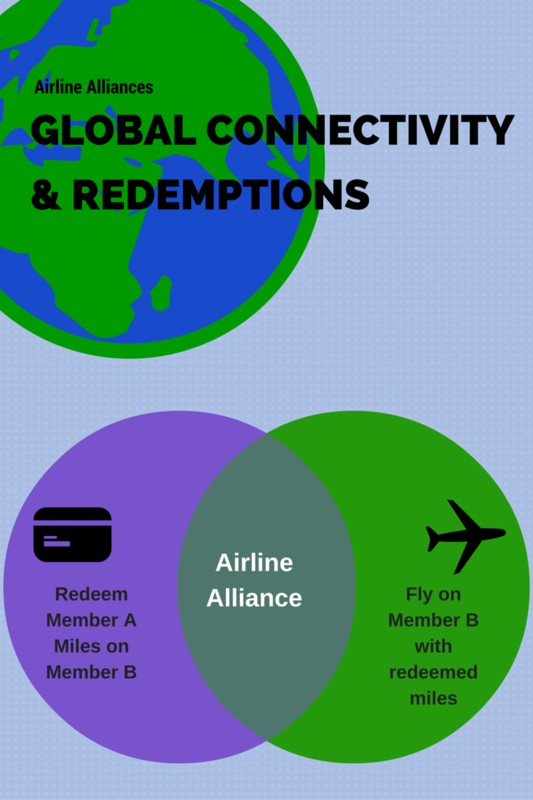 What’s an airline alliance and why is it beneficial for the consumer? An airline alliance is an arrangement between two or more airlines agreeing to cooperate on varying levels, which includes inter-lining, code sharing and reciprocal elite benefits. Inter-lining—a ticketed itinerary that includes multiple airlines, usually within the same alliance; the airlines agree to handle the passenger on all legs of the journey. Most commonly occurs when one airline will through-check luggage to your destination. Example: Flying American Airlines from Chicago to New York and then New York to London on British Airways; American and British cooperate to have your luggage (and you) reach the destination. Reciprocal elite benefits—A frequent flyer with certain status on an airline within one of the alliances will have alliance status that enables the flyer to receive certain benefits amongst all member airlines. As you can see, different alliances provide flights to different destinations. Star Alliance, for example, is the biggest alliance by membership, and has access to nearly every continent and region in the world. So how does this help frequent miles users? Sometimes you’ll need to call the airline to book the partner award, but, to their credit, the airlines are working to make all their partner awards bookable online. Here’s a handy chart of pros/cons for each alliance. There are several airlines that are not part of any alliance, but they have partnerships with various alliances for revenue or miles flights. Alaska Airlines is the Big Daddy; they’re sort of like alliance agnostic and are friends with everyone. This provides access to many airlines that are not part of any alliance, most notably, Emirates and Fiji Airways. Alaska Airlines has separate award charts based on region and partner. You have to call-in many of the awards, but their search engine is solid. Starwood Preferred Guest consumer and business credit cards from AMEX, that transfer 1:1 to Alaska. There are several other non-alliance airlines that allow you to redeem their miles on partners, but rarely at a good value. I’m going to outline my process for searching and booking award flights. This is just a primer, but feel free to add your thoughts below. Don’t let your miles or award availability (the amount of seats that can be booked with miles) determine where you want to go: go where you want to go based on your interests. 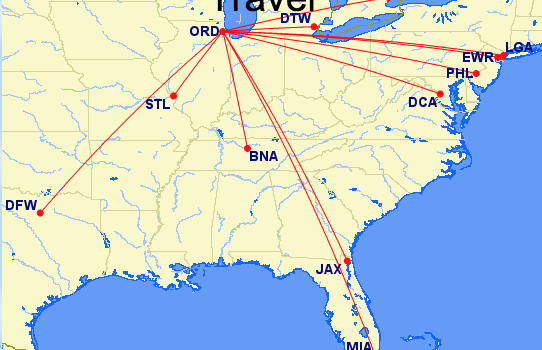 Step 1: Use Google Flights to determine who operates the route you’re interested in flying. 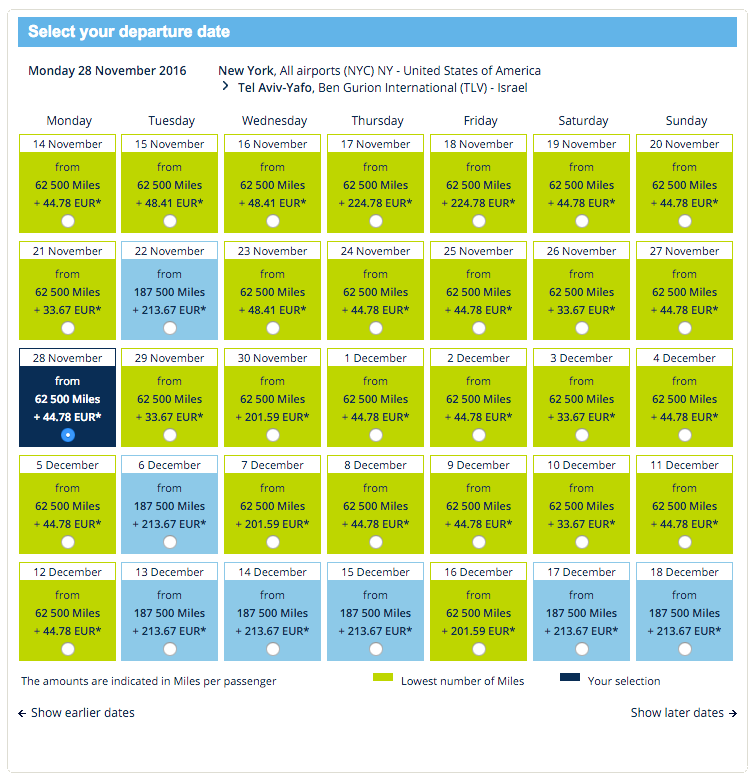 A bunch of connecting flights, and at least four carriers (Air France, United, Delta, and American) fly direct flights. Let’s focus on those direct flights. All of the major U.S. carriers fly this route directly, so as long as you have airline miles or transferable miles in one of those airlines, you should have a better chance of finding seats. There’s never a guarantee of award space, but diversifying your miles will help you find the space on the route you want. 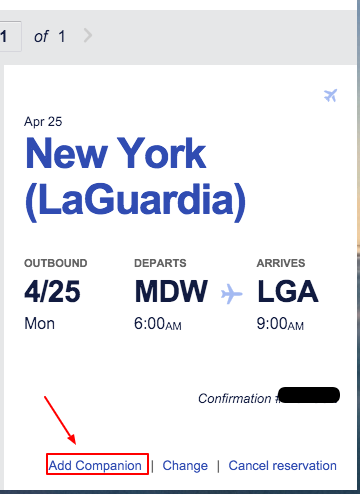 NOTE: Southwest and many low-cost carrier flights do not show up on Google Flights. Step 2: Searching for the award space across the alliances. This is very important because if you have miles with a corresponding alliance partner you can book an award with your desired airline. 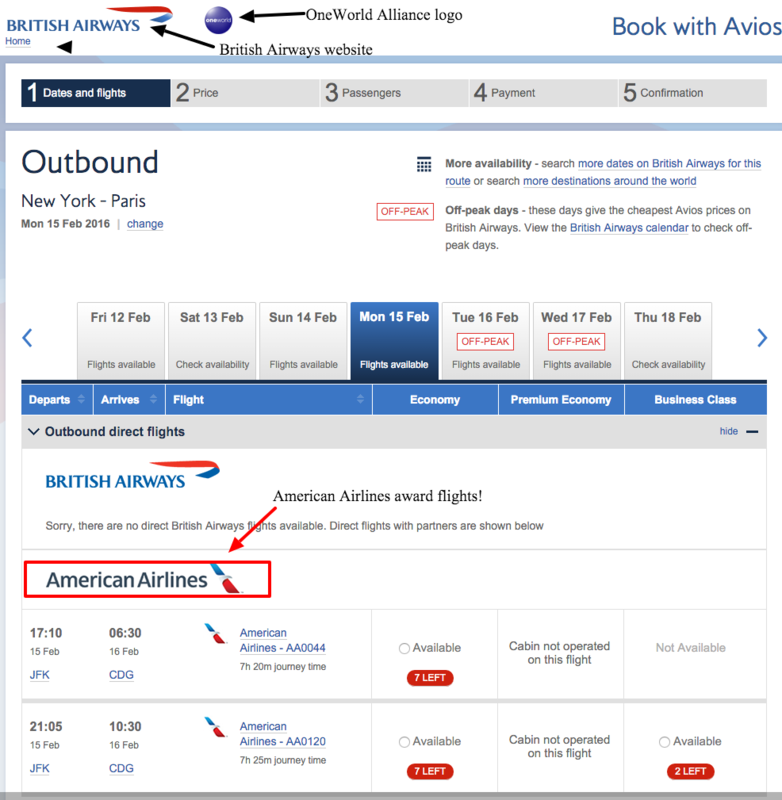 See how we’re on the British Airways site, using British Airways miles but pulling up American Airlines award flight? So if you have British Airways Avios you can book American Airlines awards (and many other OneWorld alliance awards). Don’t see any flights that have space or times that work for you? Check United and Delta. The above examples are both straightforward , but it gives you an idea of what alliances are and how useful they can be. Step 3: Being mindful of fuel surcharges and taxes. Surcharges, huh? Yes, yes. While there may not be a fee to redeem your miles, airlines will pass on the fuel surcharges (and taxes) that are normally part of your paid ticket, onto the award flight. We see this in our Air France New York-Paris example. The Air France flights are charging more than the Delta flights. Why is that? In this case, Air France charges higher fuel surcharges/taxes than Delta does on that particular flight. Are paying the fuel surcharges worth it? You’ll have to decide for yourself, but generally, if you can, avoid them! Avoid departing out of London, particularly London-Heathrow as the city has a very high fuel surcharge for flights. American and Alaska mainly impose fuel surcharges on partner British Airway and Iberia award tickets. Delta is a mixed bag—generally, if you depart from the U.S. the fuel surcharges a minimal; one-way Delta awards from Europe will levy significant surcharges. Many countries in South America have banned fuel surcharges, making it a nearly free award travel destination. One can search every airlines site, but in my experience, step #1 will save you the most time and give you an idea of the best place to start. After you’ve found the best routing that works for your travel needs (and your mileage balance), be sure to take into account the price you’ll pay for fuel surcharges. While I can explain each and every benefit and why some are better than others, a lot of it will have to do with how YOU, the consumer, spends throughout the month to benefit most from each card. And as we know, you can have all at the same time (I do!). We’re always looking where we can go next that includes a flight over 6 hours, across the ocean (either of them), or over the Artic. But what about good ole’ domestic travel to see mom, dad or grandma and grandpa? Some points are better than others for domestic travel, while others are excellent for international business and first class adventures. 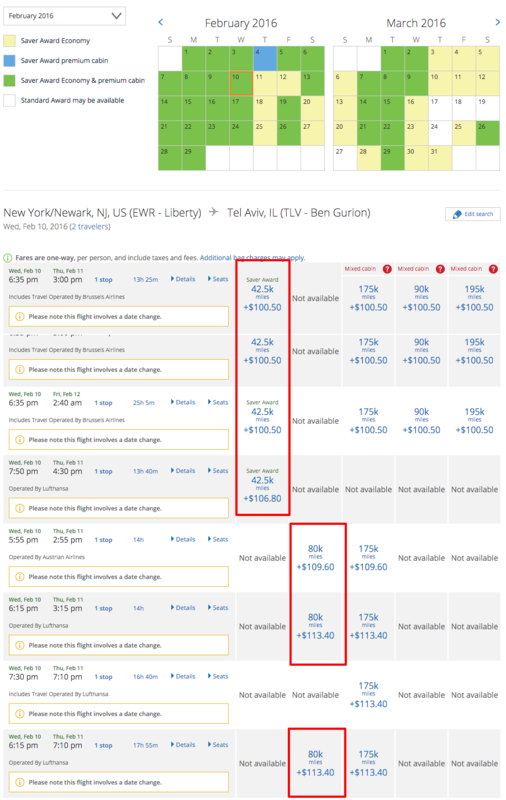 Standard domestic travel on the major carriers (American, Delta, United and Alaska) will cost you 12,500 each way, per person. There are lots of better things you can do with 12,500 miles than flying from New York to Miami. 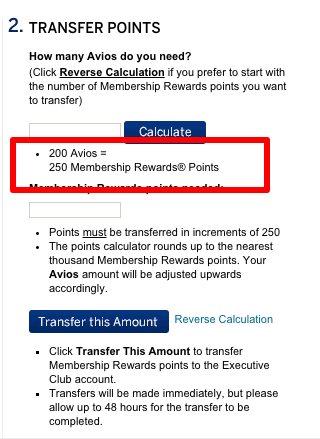 The mileage currency for British Airways is Avios points. British Airways mileage program is based off of distance flown. Some frequent flyer programs are based off of distance (U.S. to Asia, U.S. to Europe, etc. ); whereas some programs, like British Airways, are based off of distance flown. But wait, you can’t fly British Airways between New York and Chicago… British Airways and American Airlines are part of the same airline alliance (OneWorld). This allows members with either account to redeem their miles on the partner airline. So in this case, you are using your British Avios on an American Airlines (the partner) flight. *After Feb. 2, 2016, Zone 1 will merge with Zone 2 and flights between 1 – 1,151 miles will all be 7,500 miles. So how do does one determine the distance between two airports? Just plug in your starting airport and the Avios award mapper does the rest! There are several cards that earn Avios points. The 7,500 and 10,000 points award flights are definitely a sweet spot on the British Airways Avios chart. These flights would normally cost you 12,500 miles on American, United and Delta. Pro-tip! All three Southwest credit cards are currently offering 50,000 miles for satisfying the spending requirements. Be sure to apply when the offers are high, not the standard 25,000. 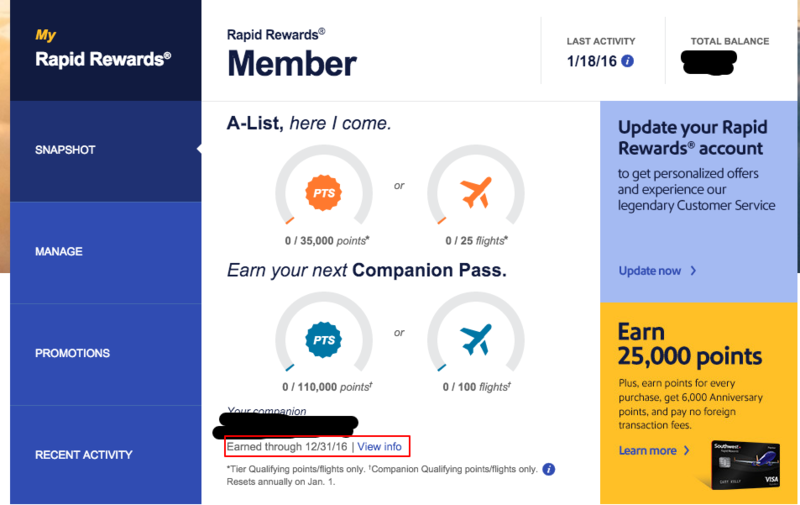 I’ve redeemed thousands of miles on domestic travel, almost always from Southwest Rapid Rewards or British Airways Avios.